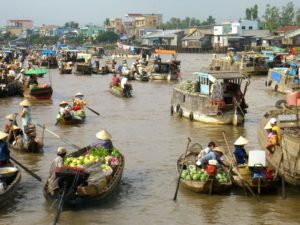 Mekong Delta tours are always considered as one of the most favorite kinds of tours that foreign tourists often choose to make in their Vietnam tours. 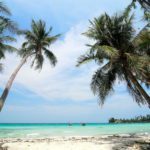 The mysterious beauty of this delta has never stopped its heat in attracting tourists to Vietnam. 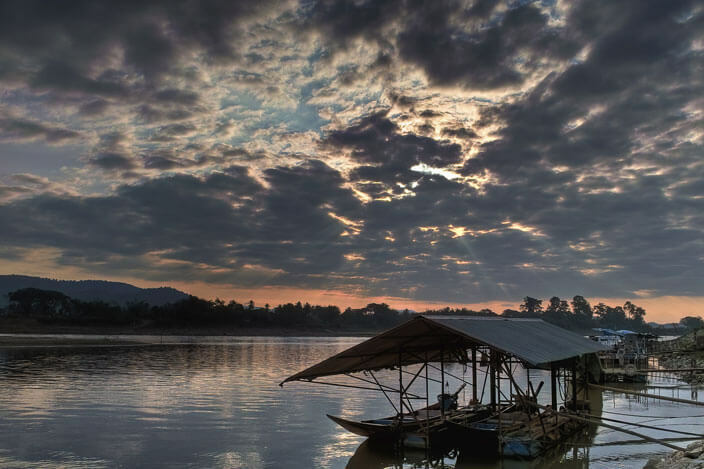 The Mekong River, the world’s twelfth longest, flows south for more than 2,000 miles from the Tibetan Plateau, through China, Burma, Laos, and Cambodia until it finally reaches Southwest Vietnam. 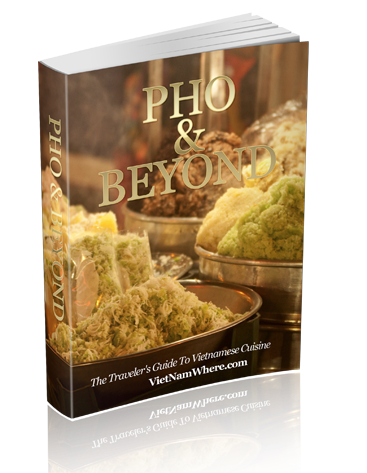 Here, it splits into 2 great tributaries (Tien River and Hau River) that spread out to form the vast and fertile Mekong Delta. Tien River and Hau River flow through the provinces: Dong Thap, Tien Giang, Ben Tre, An Giang, Can Tho, Vinh Long, Tra Vinh, Hau Giang, Soc Trang and Bac Lieu. Long An, Tien Giang, Ben Tre and most of Dong Thap are on the left bank of Tien River. Vinh Long, Tra Vinh, a large part of Dong Thap and An Giang are located between Tien River and Hau River. Long Xuyen quadrangle region and Ca Mau peninsula are on the right bank of Hau River. This is Vietnam’s rice bowl, where the combination of constant tropical temperatures, plentiful water, and fertile land enable up to four rice harvests annually. 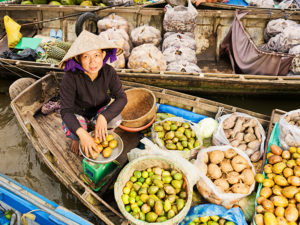 The delta also produces an abundance of exotic fruit, such as star apple of Lo Ren – Vinh Kim, mangosteen of Cho Lach, mango of Hoa Loc,… In each season of the year, tourists making Mekong Delta tours will have the chance to admire, try picking and taste the unique fancy flavor of the various tropical fruits of this place right in the fruit orchards here. 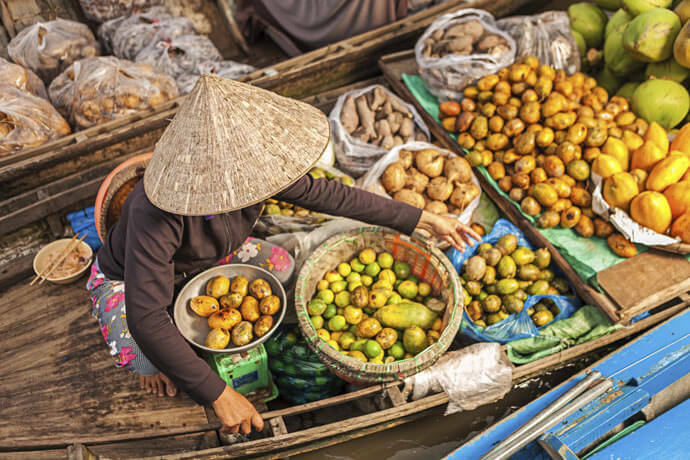 Some big fruit orchards of Mekong Delta that must be mentioned are Cai Mon, Vinh Kim, Cai Be,… Mekong delta tours will be the good choice for you if you love enjoying many different kinds of fruits in orchards. And, believe me, it won’t be good Mekong Delta tours if you forget to try the wonderful fruits in the orchards here. 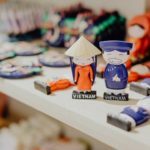 With a perfect weather gifted by Mother Nature, with a great cultural diversity,… this delta, which includes many provinces with tons of interesting things to see and to do, is truly a paradise for anyone who loves discovering new things in their Vietnam tours. 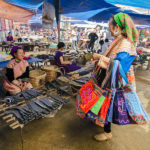 From the unique, eventful floating markets, such as: Cai Rang, Cai Be, Soc Trang, Tien Giang, Nga Nam,… which can make you overwhelmed at the first time seeing the boats full of items, the special lifestyle of people living in this water region, the way they feeding the fish right in their floating houses, to the fantastic cuisine that comes from the endless creation of local residents and the combination of 2 largest cultures in Southern Vietnam (Cham and Kinh), all are the reason why Mekong Delta tours by boats are the Mekong Delta tours recommended by any travel agency, that’s simply because traveling on the small boats through the bushes, seeing the floating houses and the floating fish ponds will absolutely the right way to enjoy best Mekong Delta tours. 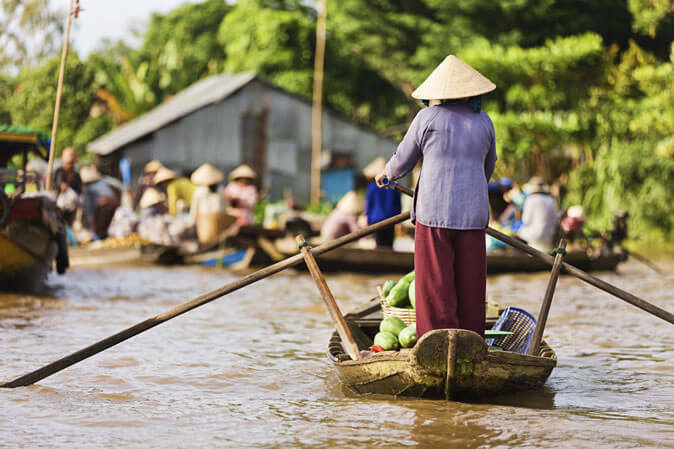 The myriad waterways of the delta make the Mekong Delta tours by boat the perfect means of exploration, especially by small, traditional boats that don’t have any electric motor so that you can’t miss any natural, beautiful spots of this mysterious place. 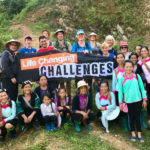 And taking a homestay Mekong delta tours is also something you shouldn’t miss because it will definitely give you precious chance to get amongst local life, much of which is conducted on the water. 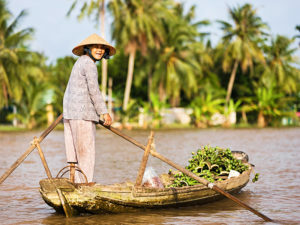 Mekong Delta day tours from Ho Chi Minh city are easily arranged, but to really get a feel for the incredible atmosphere of the region an overnight cruise is the perfect option. From converted rice barges to elegant cruise ships there are options to suit all styles and budgets. 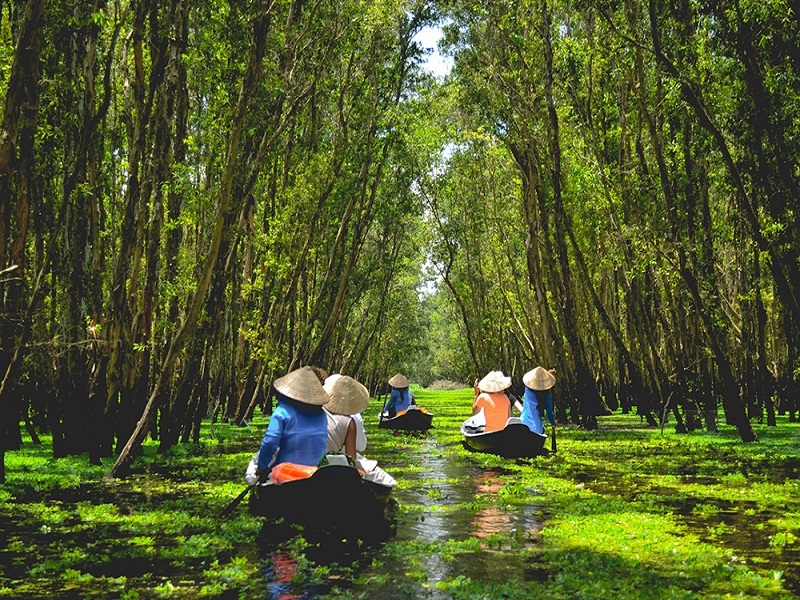 You won’t be able to imagine how awesome it can be and it will be the when making a Mekong Delta tour in Vietnam. 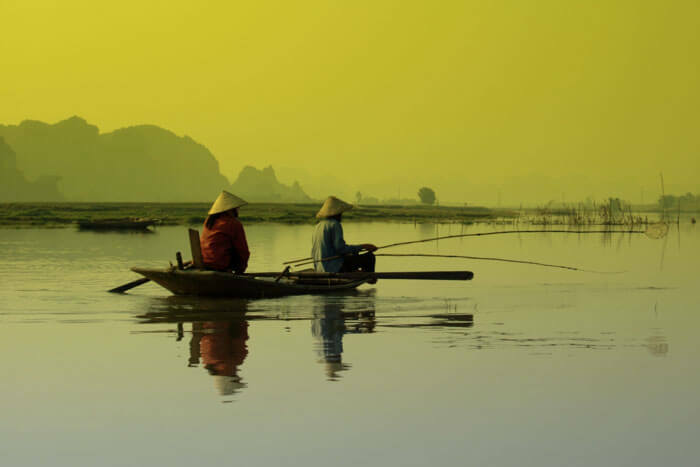 What do you think about the activities like going fishing when the night falls, taking a cup of traditional rice wine and listening to the “Don Ca Tai Tu”? 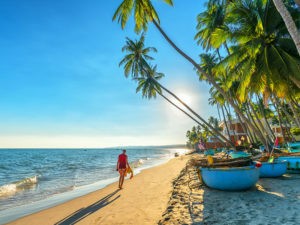 And I also recommend you to make tours to the magnificent islands, to the national parks, to the beautiful beaches and to the historical temples and pagodas in Mekong Delta! 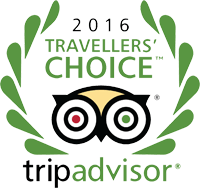 Well, hundreds of best things are waiting for you to discover when making Mekong delta tours in Vietnam. 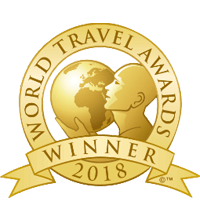 However, don’t go alone, go with AsiaTourAdvisor so that you won’t miss any interesting destinations on your trips to this mysterious delta. 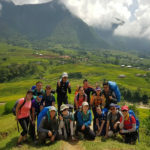 Our company is always here to give you the greatest experience with any kinds of Vietnam tours that you want to make and useful information for any destinations in Vietnam that you want to search for.